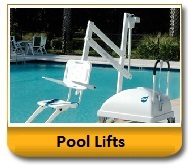 Expert advice on Wheelchairs, Electric Mobility Scooters, Rollators, Pool Lifts, Lifts etc. AND Lowest prices! “This is the first electric mobility scooter I have purchased and I was looking for a electric mobility scooter that could be used outdoors as I am a Bird Watcher and cannot walk very far, and there are a lot of handicap trails in the State parks here in WA that I am unable to walk through, but I would be able to go on these trails using the electric mobility scooter. I wanted a scooter that could handle this. 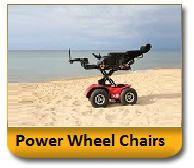 After searching through the web I decided to purchase the electric mobility scooter through All Terrain Medical, George was my sales contract. They had some specials on the web like a free cover and tee shirts. George advised me as to which electric mobility scooter would be best, and arranged the shipping for the cover and a carrier. Everything arrived in a timely manner less than a week for all of the parts.Because the electric mobility scooter had wider wheels on the back the carrier I had ordered was the wrong one, it was not wide enough. George worked with me on this and we soon had all of the details worked out on how to get the proper carrier. "We received the scooter Monday. 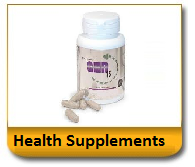 This is an awesome product! 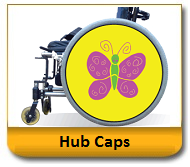 This was purchased for my daughter who became unexpectedly ill with MS and is now paralyzed in her legs. 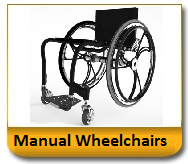 She had been using a manual wheelchair, which would not fit into the bathroom. This scooter fits with room to spare. She can now again brush her teeth in the bathroom, and use the restroom without me having to lift and carry her to the commode. She went outside for the first time unaided today and zipped around the cul-de-sac. She is able to maneuver places in the house she has never been able to before. 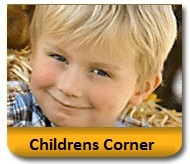 More importantly, this has enabled my daughter to become more mobile and independent. This is the perfect size and the color is beautiful. Our family is very happy we chose your company for this purchase. We are beyond satisfied. The ordering was easy, the arrival was as promised and I put it together myself in 20 minutes. Thank you so much from the bottom of my heart." "I am thrilled with the detailed & personal attention All-Terrain showed me in this transaction. 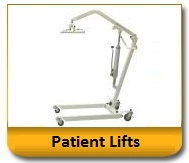 The service was great, my order was on time and the product description was completely accurate." 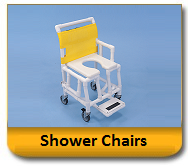 Our Best Price Guarantee puts us in a position to offer the lowest prices available to private end users as well as the VA, physicians, hospitals, rehabilitation facilities, assisted living facilities and nursing homes. 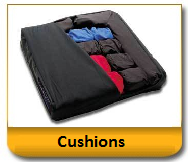 Most of our products are available to ship within 24-48 hours. Our secure server and payment gateways are monitored and controlled by the latest secured technology available. We are pleased to let you know, that we are approved and rated A+ by the Better Business Bureau (BBB) of Utah - A partner you can trust. 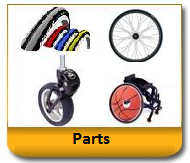 -Wheelchair Tires, Wheelchair Wheels, Wheelchair Casters, etc. 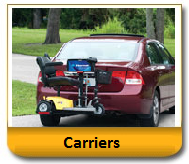 Top in mobility products: All-Terrain carries over 1,700 mobility products designed to facilitate the best level of mobility and achievement for the people we serve. 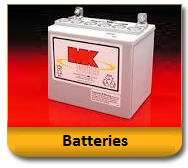 We strive to provide you with the latest products on the market both nationally and internationally. 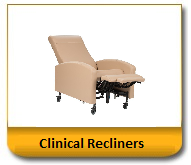 We strive to provide the best value to you for these products. 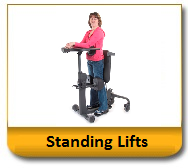 How long will it take until I receive my Wheelchair accessible Exercise Equipment? 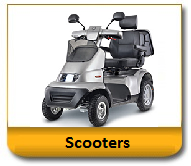 Do you offer an electric mobility scooter for sale at the best prices? 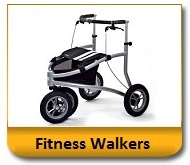 Do you carry handicap walkers at a good price? 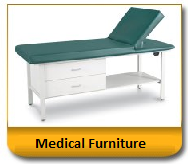 Why should I buy products from All-Terrain Medical (...when there are so many other online providers)? 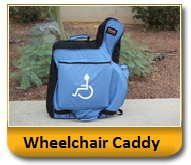 We carry over 3,000 handicap mobility products and strive to offer products only with the most innovative vendors. 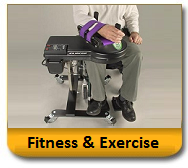 Wheelchair handicap equipment for home fitness, electric scooters, wheelchair scooters. 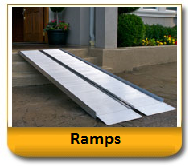 The best of all wheelchair lifts, scooter and wheelchair ramps, handicap walkers, scooter ramps, shower chairs, pool lifts for physical rehabilitation in your rehabilitation facility and for home use! 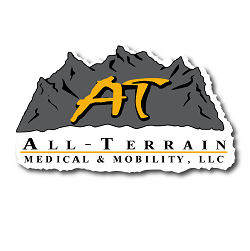 Copyright All-Terrain Medical & Mobility, LLC. All Rights Reserved.